Yeasts have been used to manage a large number of plant diseases, but little is known about the mechanisms used by these biocontrol agents. The objectives of the present study were to evaluate the antagonistic effect of yeasts against Rhizoctonia solani and possible mechanisms of action in cowpea plants. Seventy yeast isolates were obtained from leaf, root and stem tissues of cowpea and common bean plants. Screening experiments were conducted in a greenhouse at temperatures ranging from 15 to 26 °C in the first and from 22 to 31 °C in the second experiment. 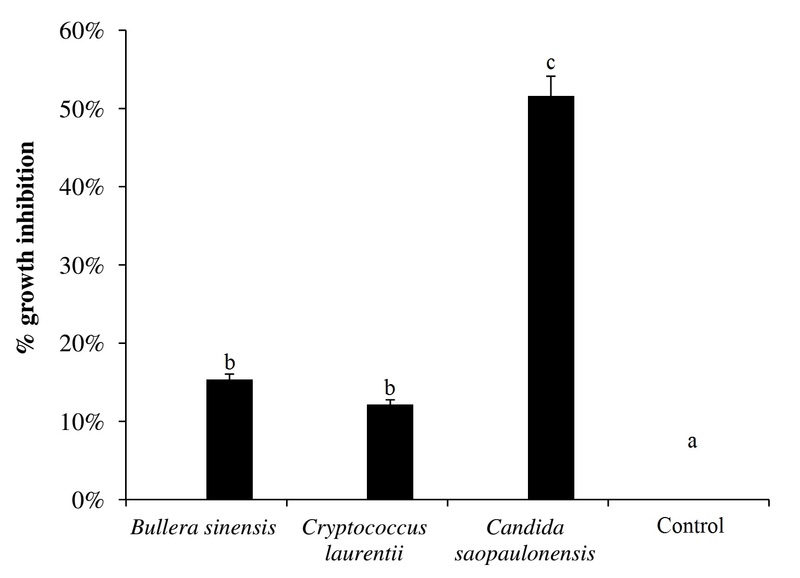 Candida saopaulonensis C6A, Cryptococcus laurentii FVC10 and Bullera sinensis FVF10 (R1) reduced disease severity by 57.4%, 48.5% and 66.3%, respectively. Cowpea plants treated with FVF10 (R1) showed the highest peroxidase and catalase activities. The mechanisms of action were based on competition and induction of enzymes such as peroxidase, catalase and ascorbate peroxidase in cowpea. 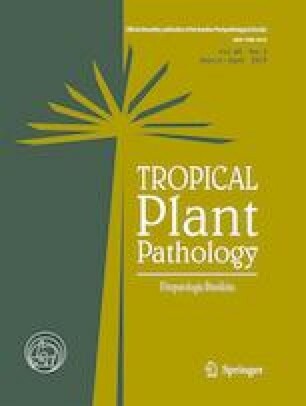 Candida saopaulonensis C6A, C. laurentii FVC10 and B. sinensis FVF10 (R1) are potential biocontrol agents of damping-off and stem rot caused by R. solani on cowpea plants. The online version of this article ( https://doi.org/10.1007/s40858-019-00275-2) contains supplementary material, which is available to authorized users. We thank CAPES for granting a scholarship to the first author, as well as CNPq for the research scholarship granted to DL, CSL, and EVM (306401/2015-0). We thank Dr. Antônio Félix da Costa (IPA) for his contribution concerning the plant material used in the present study.